This year, Companions across the country were able to experience the healing and powerful experiences of the circle. 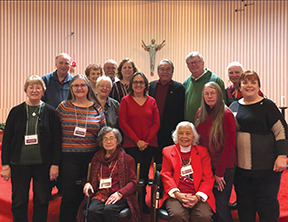 Companions gathered across the country for their annual retreat, meeting in Missouri, Ohio, Iowa, Florida, and California to gather together for rest and growth. A retreat leader was picked who was able to attend all the retreats, so that Companions across the country heard the same information. As we began the retreat process in 2018, we recognized that this year was different. As the Community was visioning and dreaming about becoming a New Creation it was apparent that Companions needed the opportunity to get to know each other on a deeper level as well. My hope was that if we could enter deeper into relationship, then dreaming and visioning would become easier and more comfortable. In support of the New Creation process, we also invited community members to attend the retreat. Additionally, Fr. 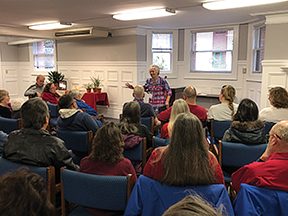 Dave Kelly and the staff of the Precious Blood Ministry of Reconciliation agreed to lead the retreats because of their expertise in utilizing circles of reconciliation at the Center. Describing the Companion retreats this year as different seems simplistic. 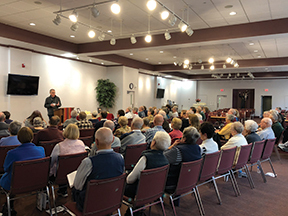 While Companions gathered for prayer and reflection remained the same, the presentations were considerably different from what Companions experienced in the past. Rather than the traditional structure of retreats, participants listened to talks and then reflected upon them. The Companion retreats had shorter talks followed by Companions talking and listening to each other as they participated in the circle process. 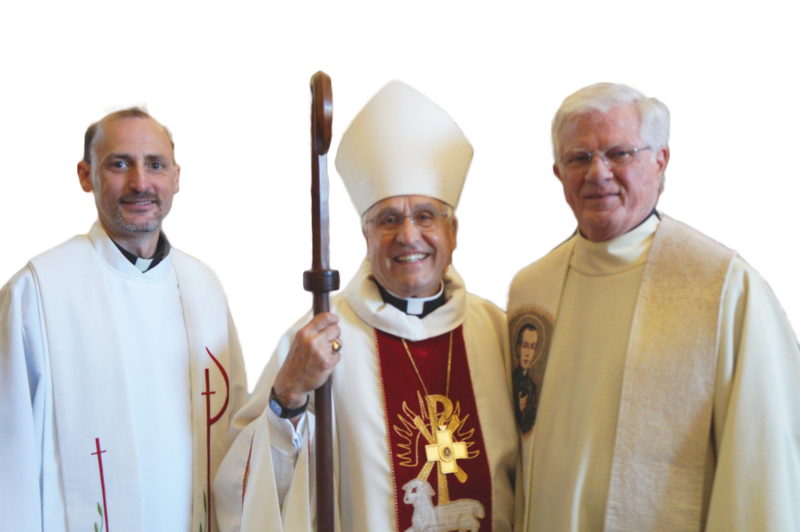 Companions reflected upon topics such as how are they fed spiritually, what values do we share, and how are we called to be a Precious Blood community in the world today. At the conclusion of the retreats many of the Companions commented that while they thought they knew the Companions in the area, they felt that they now knew them at a deeper level. Others appreciated that they talked with members of the community for the first time and really got to know them. Everyone felt that meeting Sr. Donna and Fr. Dave really brought the Precious Blood Ministry of Reconciliation to life, which they had previously only read about in the newsletters. Everyone also concurred that they truly embodied what it means to live Precious Blood spirituality, and that the sharing of their stories inspired them in their own journeys of faith. Sitting in a circle. Sharing stories. Sharing hopes and dreams. Sharing challenges and difficulties. Sharing from a place of truth and vulnerability and supporting others in the circle along the way. These are just a few of the powerful functions of the circle process that Companions experienced over the last year. While each of the locations we traveled to had different Companions and circumstances, the same results occurred. The day began on Saturday with people a little hesitant and anxious and ended with greater compassion and care for people they thought they knew. It was evident that the energy flowed from one person to the other and became stronger and stronger. Taking the time to share our stories also helped Companions move forward in the New Creation process. As they began to recognize in their stories of today, they could also see their hopes and dreams for the future.